ESP Aperta Wi-Fi door station. 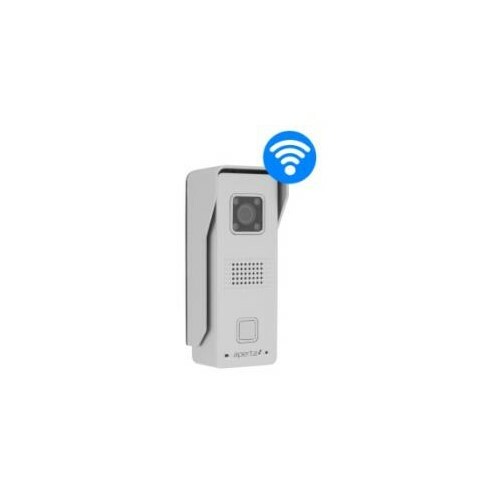 Allows video, two-way communication and remote door access* via ESP HD View Android or iPhone app. Requires Wi-Fi or 4G connection. Infra-red LEDs for low light use effective up to 2mts. Pre-installed 8GB Micro SD card will overwrite itself when full. Sunshield ensures optimal video clarity. Robust IP65 rated metal housing. Dimensions (mm): 129(H) x 55(D) x 40(W). * Please note, use of the remote door access feature relies on the use of additional ESP products, please call for more information. Click here for datasheet and app set-up instructions.